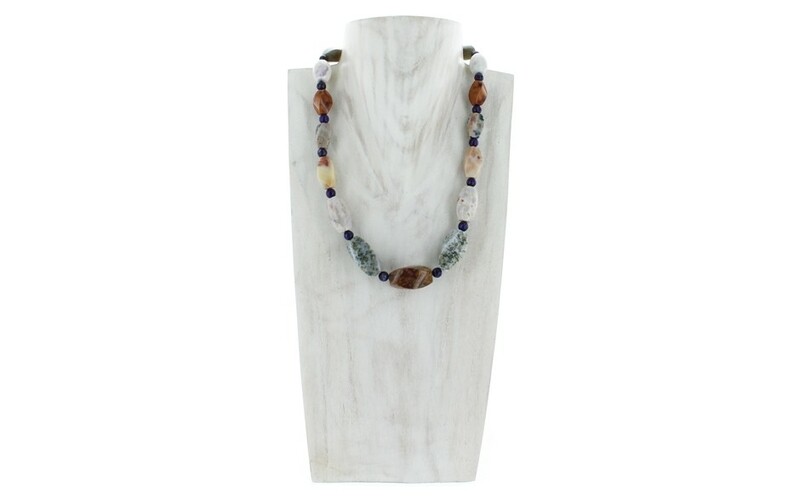 Loads of stone make up this chunky single strand necklace. 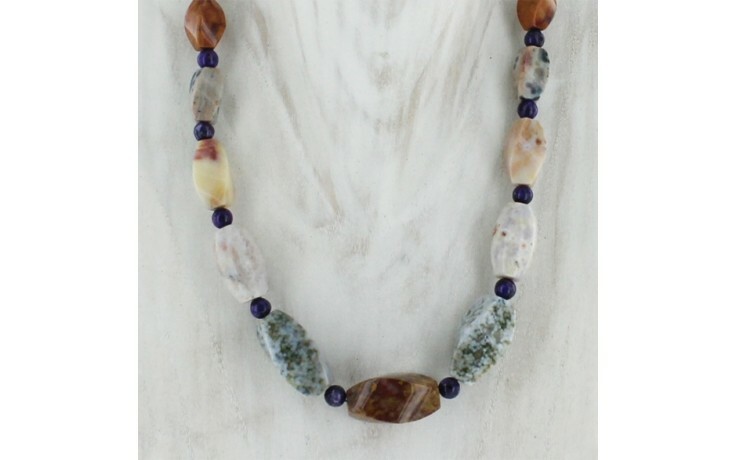 Uniquely spotted orbicular stone twist beads, Jalisco lavender opal ovals and purple turquoise rounds are featured in an array of pastel and earthy colors and graduated in size. 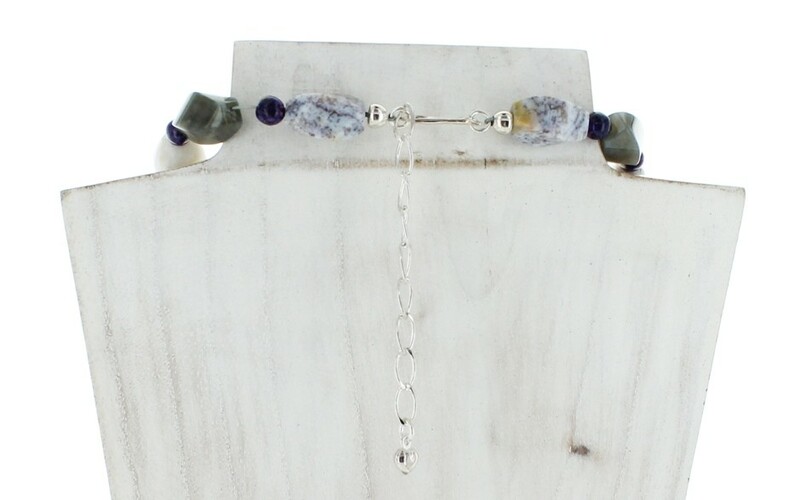 Each stone is separated by a 6mm purple turquoise bead. 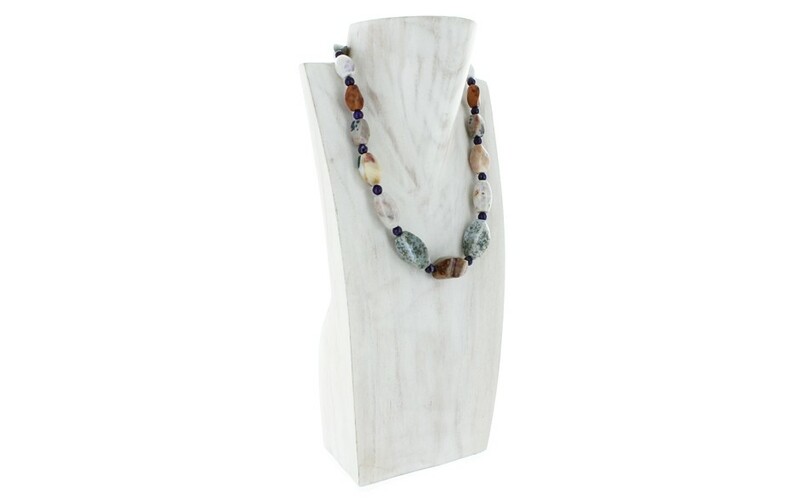 The largest stone measures 14mm x 26mm and the smallest measures 9mm x 16mm. The orbicular stone was mined in Madagascar, the opals were mined in Mexico. The turquoise is stabilized, compressed and enhanced and was mined in China.